Emilio is a native Brazilian. He has been a professional photographer for many years specializing in weddings in San Diego. Emilio has a lot of experience, working in the "industry", weddings, assisting actors with that perfect headshot and shooting some very influential events in San Diego, Emilio is an active speaker for many industry seminars, has won a number of well-venerated photography awards and is a member of many of the trade organizations. 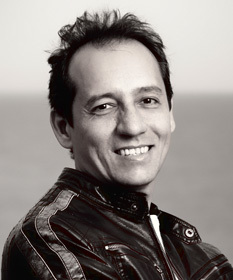 Emilio is truly accomplished in the art of photography and is a blessing to each of his clients. Each of his images are standalone pieces of art in color, composition, light and balance.